Galvanized steel guide-on posts keep your trailer in view when reversing down a boat ramp. Posts also provide markers on your trailer so you keep your boat centered when loading or unloading it. Ideal for saltwater use. 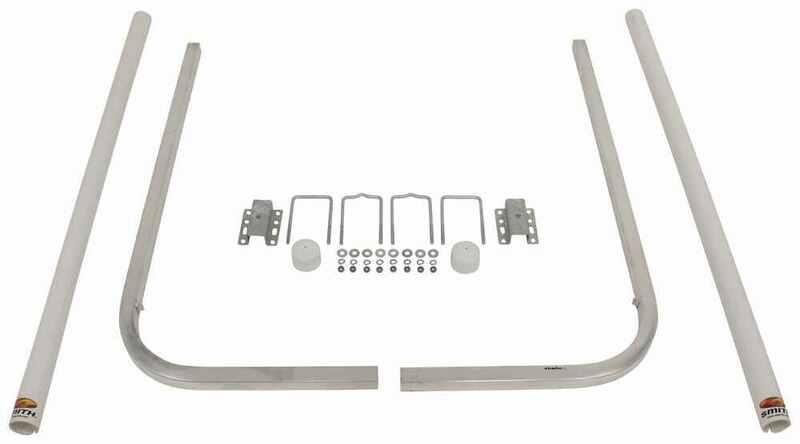 Call 800-298-8924 to order CE Smith boat trailer parts part number CE27637 or order online at etrailer.com. Free expert support on all CE Smith products. 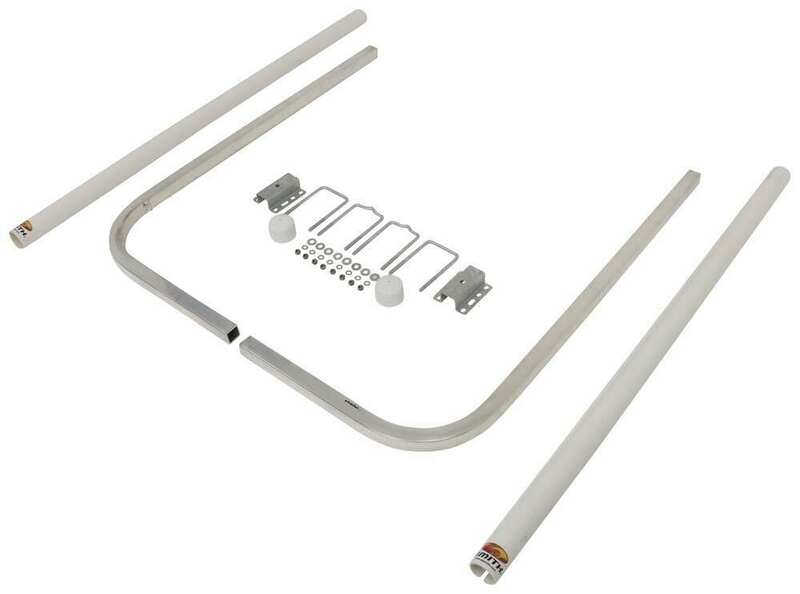 Guaranteed Lowest Price and Fastest Shipping for CE Smith Post-Style Guide-Ons for Boat Trailers - 65" Tall - U-Bolt Hardware - White - 1 Pair. Boat Trailer Parts reviews from real customers. When your boat trailer has been backed down the ramp and is partially submerged, these 65" tall guideposts that are mounted on the rear corners of the frame will stick out of the water, giving you 2 highly visible targets to guide your boat between for loading. The PVC posts also provide a visual aid to help you back your boat trailer down the ramp when you're unloading your boat. The posts are simple to install. Slide the PVC posts over the galvanized steel support posts. Then use the included U-bolt hardware to mount the posts on top of or below the trailer frame, as close to the rear corners as possible. Adjust the posts so that the distance between each post and your boat is less than 1 inch. Four of these clamps enable you to mount 1-1/2" square tubing on the top or bottom of an I-beam on your aluminum boat trailer or a boat lift. Its galvanized steel construction resists corrosion. Order: RelevanceNewestRating - High to LowRating - Low to High Galvanized steel guide-on posts keep your trailer in view when reversing down a boat ramp. Posts also provide markers on your trailer so you keep your boat centered when loading or unloading it. Ideal for saltwater use. They have been great. Big help when backing an empty trailer down a ramp. Anthony,Thank you for your review.I have contacted CE smith and the only way to install these guide-ons on your Triton is to drill two holes through the rear step so the mounting bracket can sit on top of the step and the u-bolts will go around the frame. It cant go under the step because it is too wide and the post would be too far from the boat. I hope this helps. At this point hard to imagine not having them. They continue to work well.